I’ve voluntarily purchased new clothing three times since 2007. I clip coupons. I have an annual September calendar reminder to call SiriusXM, to threaten to cancel my subscription. They don’t like to lose customers, so each time they give me their latest promotional rate. I regularly sign up for and track my credit cards in a spreadsheet to take advantage of new promotional offers and maximize rewards. The point is, I’m frugal and financially savvy in many regards. But when it comes to sports betting, I take risks. Lots of them, every week, mainly during the NFL season. It’s a 22-week long grind that requires adherence to a weekly routine, involving several sports betting podcasts, numerous articles from trusted writers and keen football observers, a dash of film study, some prognosticating, modeling/power ranking, some intuition and a sense of smell, like the pinball wizard, for bad lines and trap games. With the season now concluded, I’ve had some time to reflect on why I spend about 12 to 15 hours every week putting in this work, for what typically amounts to a nominal annual profit or loss, or in good years, a near-five figure win. The time commitment is laughably small compared to what professional bettors put in, but it’s a substantial commitment for a guy who works full-time, is busy raising a small child, and is also a fella who doesn’t want his mostly understanding wife to punch him in the ear. So, why put in the time? Sports betting is entertainment. It makes otherwise ho-hum NFL matchups fascinating, like the Week 3 Bills-Vikings matchup, in which Minnesota was favored by 16.5 points… but lost 27-6. Anything can and does happen. And most hobbies, even if you’re good at it, don’t return a profit. Sports wagering tests a bettors’ sports acumen, ability to evaluate discrete and holistic match-ups; also it measures among other things a person’s mathematical modeling, discipline and focus, and timing (particularly for in-game wagering, or when pouncing early on bad lines). The best sports bettors, the professionals, still only fire at a rate of about 55 percent or better. It’s a humbling endeavor. And even when you handicap a game perfectly, you still may lose for a cornucopia of reasons including an injury to a key player, poor officiating, or a legitimate bad beat. This may read like a justification for a hobby, but it isn’t. It’s an explanation for people who will relate or those who can’t, or haven’t yet. I don’t understand why some people voluntarily go to art museums or enjoy eating olives. I’ve tried both more than once and it always ends with a very bad taste in my mouth. Some people who do enjoy art museums aren’t even sure what constitutes art. Every palate is different and certainly I understand there are millions of people who might rather get waterboarded than watch nearly 13 hours of football uninterrupted when the NFL dips into London for 9:30 am ET kickoffs. Now all of that said, a few years ago, as a non-Nevadan, I wouldn’t have advertised how much time I spend on sports betting. The 1992 federal ban on sports betting outside Nevada — good riddance — branded the activity on the Congressional record as a scourge, an existential threat to sports and all the good lessons of sports. It sent sports betting into the shadows where recreational types and pros connected with illegal bookmakers and offshore sportsbooks, enabled to thrive industry due to Congress’s decision. Post-PASPA, state lawmakers are tripping over themselves to introduce bills to legalize. So far eight U.S. states/jurisdictions have legalized, meaning it’s spreading faster than legal marijuana. 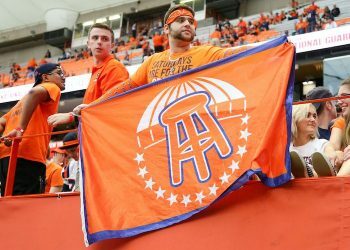 In 2017 for the first time ever, according to a Washington Post poll, a 55 percent majority of Americans approved of legalized sports betting against 33 percent disapproving. The shift in attitudes is partly attributable to the fantasy sports boom and mainstream acceptance of March Madness and other quasi-gambling pools like Super Bowl boxes. 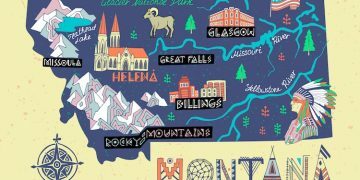 The state lottery is a U.S. institution existing in all but six states, literally a one-in-a-million or billion proposition depending on the drawing, yet sports betting, which is indeed a skill, was long marginalized. I don’t think many other sports bettors care too much about approval, certainly not in Nevada or Europe where the activity is as common as a cold, but at least now I personally don’t hesitate here on the East coast to discuss sports betting investments or strategies in mixed company. For as long as I’ve enjoyed sports betting, up until 2018 I’d only set foot in an actual sportsbook three times — all visits to Las Vegas. 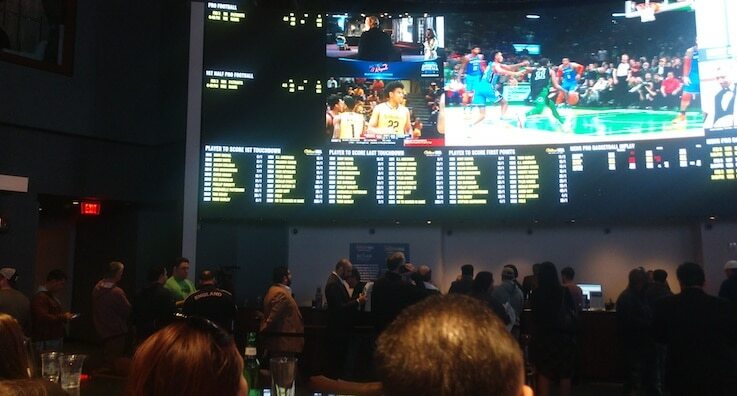 Last week in Atlantic City, I had the pleasure of soaking in a day of sports at a New Jersey sportsbook — the William Hill shop at Ocean Resort — where highlights throughout the day included a group of raucous New York Islanders fans (i.e. backers), and the Golden State Warriors’ covering an 11-point spread against the L.A. Lakers after trailing by 10 points in the third quarter. Later, for whatever reason owing to ESPN’s deal with the UFC or the sportsbook’s TV package, the UFC Fight Night 144 on ESPN+ wasn’t playing on any of its 637 TVs. But my friends and I had wagered a substantial amount on a few fights on the main card, and we didn’t come to the sportsbook to not watch these grown men bludgeon each other for their financial benefit and possibly ours. So, we whipped out a laptop and set it up atop a chair. That move made us friends with the guys behind us, and a couple guys one row over. And when 135-pound Brazilian mixed martial artist Marlon Moraes locked a guillotine choke around the neck of Raphael Assuncao, and Assuncao tapped out, we all erupted with joy. Camaderie, just like at the ballpark.